How do I make a donation to a campaign? 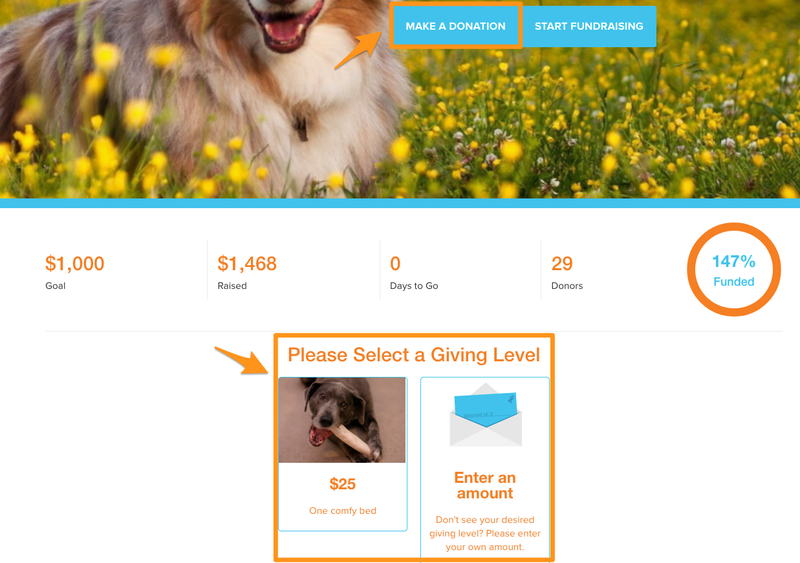 Start the giving process in one of two ways - either by selecting the "Make a Donation" button or by selecting one of the giving levels on the campaign page. 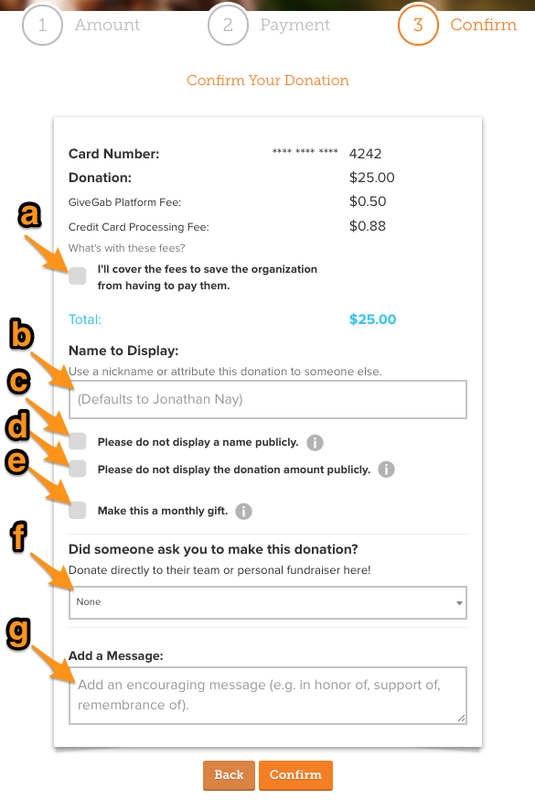 If you selected a giving level, skip ahead to Step 3. 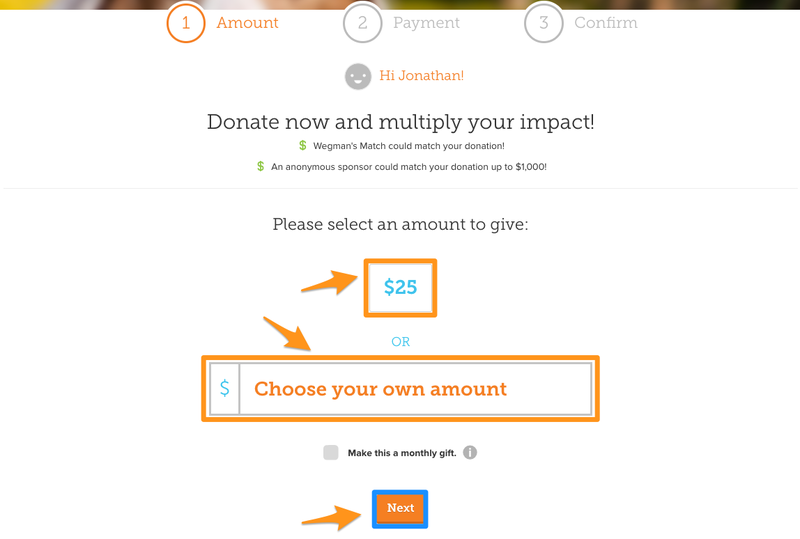 If you selected the "Make a Donation" button, you'll need to select the amount you'd like to give. You can either select one of the amounts displayed or input your own amount. 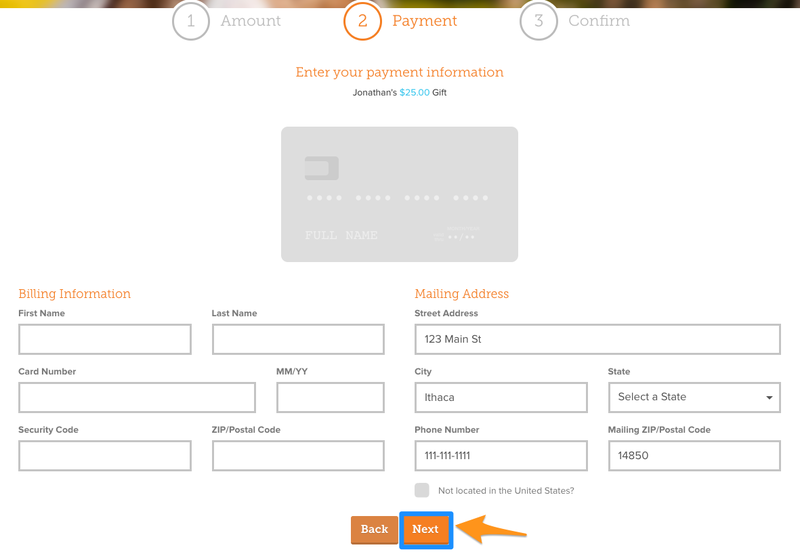 Once you've finished filling out that section of the form, click the "Next" button. Note: You'll also have the option to make your donations a recurring gift, meaning your donation will be processed at the same time each month for the same amount. This can be done by clicking "Make this a monthly gift". Note: If you are not logged in while making a donation, your email address is required so we can send you a tax-deductible receipt. Note: If you're not located in the U.S., you will be able to check "Not located in the United States?" and a country drop down list will appear. (a) Cover the fees associated with your gift. (e) Make this a monthly gift. (f) Contribute the donation to a peer-to-peer fundraiser. (g) Add a message or comment to your donation. 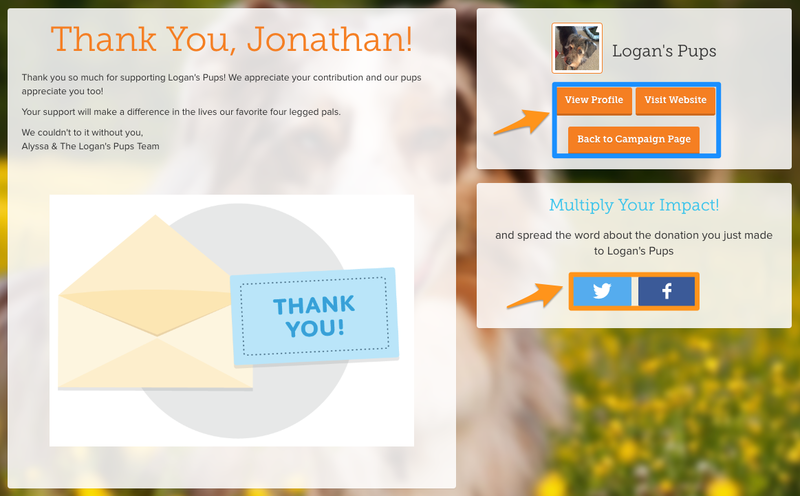 When the donation has been submitted and processed, you’ll be presented with a "Thank You" page. From there, you can go back to the campaign page, go to the organization's profile, head to their website, or share that you just donated on social media!